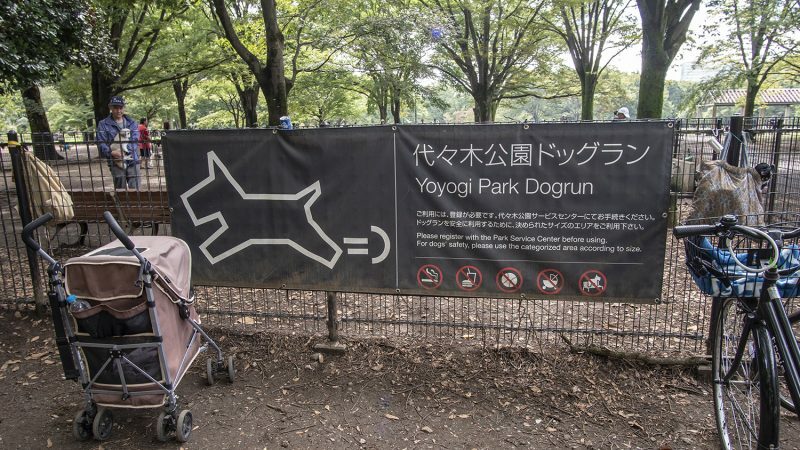 Located on the west edge of the park is the Yoyogoi Park Dogrun, a dog park where dogs can be taken and let off leash. It’s a set of three fenced off areas where dogs are separated depending on their size (from very small, small, to medium-large). Dogs must be registered at the service center before they can enter the Dogrun. However, dogs of all types and sizes can walk along the park’s paths. The exit nearest the parking lot (convenient since dogs aren’t allowed on public transportation) is called the Sangubashi Gate. The road directly parallel to the park outside this gate has a number of cafes that are dog friendly. It’s a dog friendly area in general, there are also a lot of pet stores and pet salons. 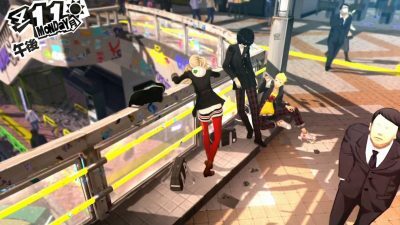 Here are some places to the west of Yoyogi-koen to take your best friend, but they need to be on their best behavior. Most places have sets of rules regarding dogs, essentially that they use the bathroom beforehand, stay off the table, use a blanket or mat to sit on the furniture, and to keep them from barking. 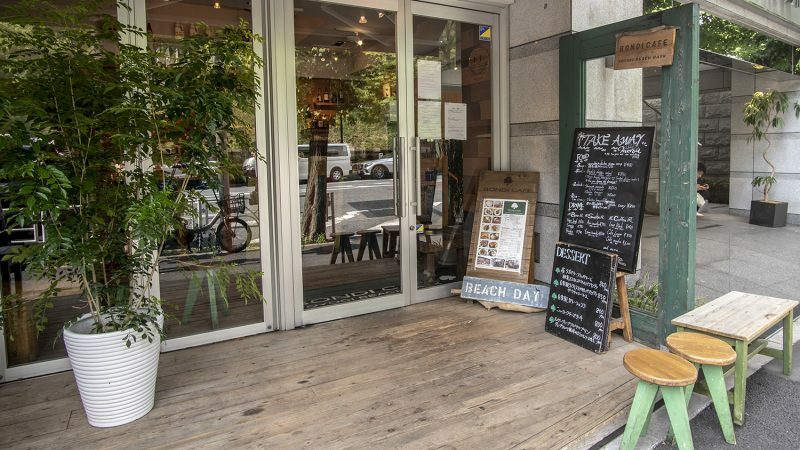 Bondi Cafe is an Australian themed surf cafe, named after Bondi Beach in Australia. 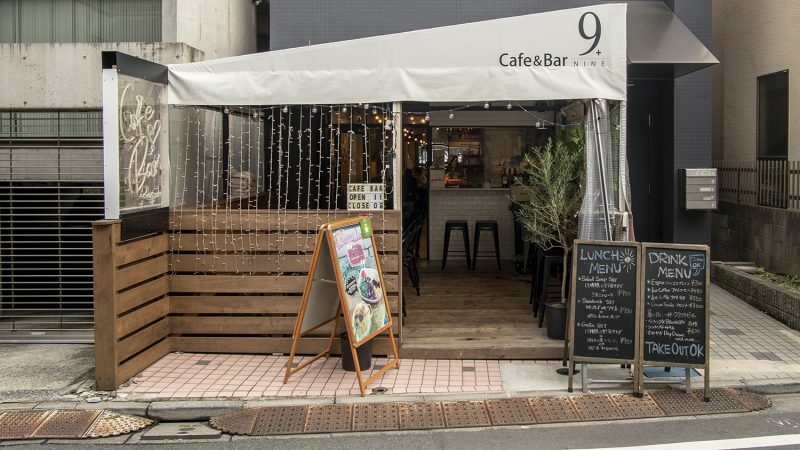 It is located outside of Yoyogi Park, with a second location also in Shibuya in the Hiro’o neighborhood. Dogs can be inside or out, but must be kept on a leash. 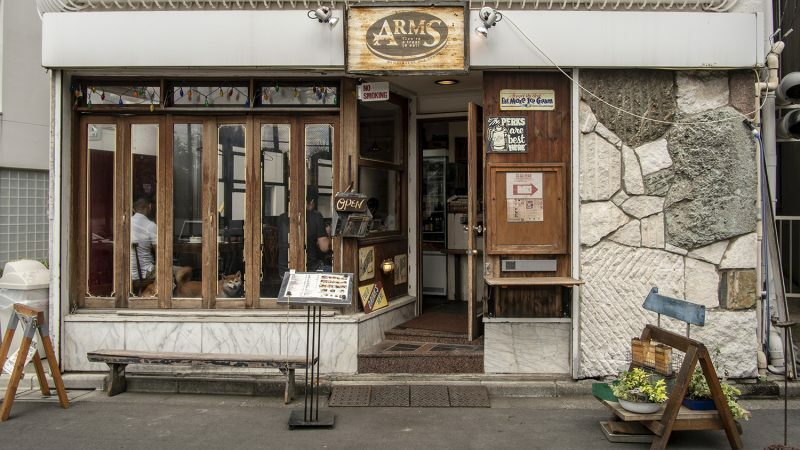 ARMS Burger is an American style burger joint, fashioned after the 50s style diners that were common in the States. 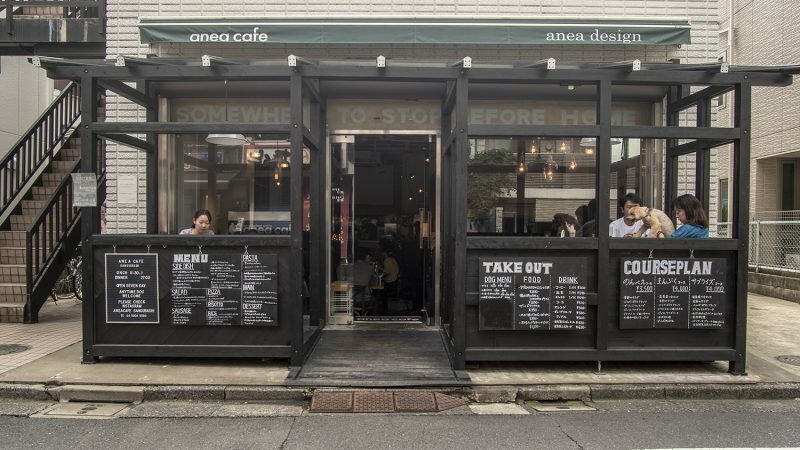 There are two locations near Yoyogi, one sit-in shop and one just for takeout which doesn’t have any indoor seating. 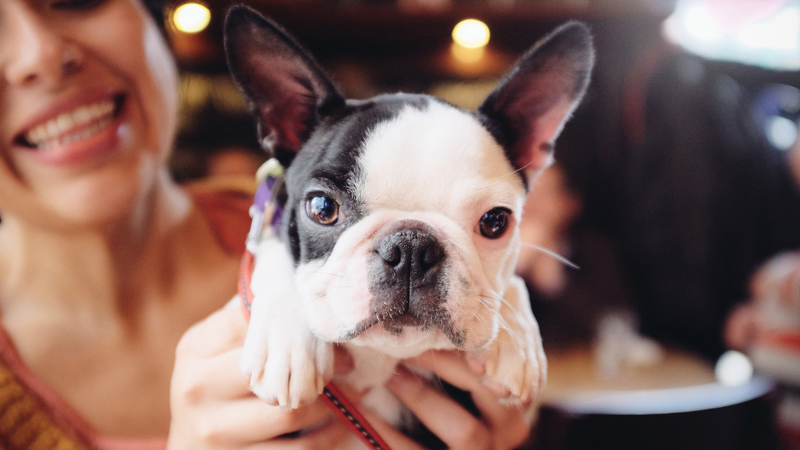 They don’t have a menu for dogs but at least your lovable companion can hang out while you scarf down a burger (or sandwich). There is no outdoor seating but you can bring dogs inside. The furthest from Yoyogi’s Sangubashi Gate, but only about a ten minute walk. Anea is in a bit of a quieter area, located down a side street. Dogs are allowed both inside and on the outer terrace. Anea has a small food menu for the dogs. A few storefronts away from ARMS Burger, past a pet store and pet salon. 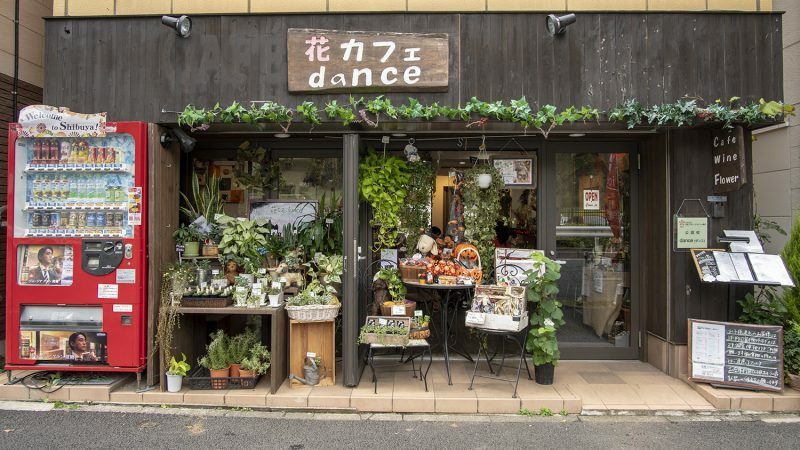 The name “dance” comes from the Beagle dog that’s owned by the cafe’s proprietors, Dance will occasionally show up at the cafe. There is a large selection of imported wine and foods like pizza and sandwiches. Food is only available during lunch and there are private rooms available for reservation.